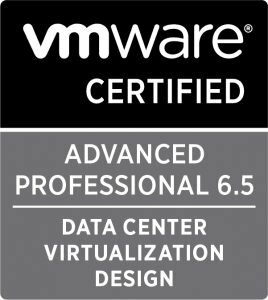 I passed my VCP 6.5 in 2017, I decided that I would take the opportunity to take my VMware Certified Advanced Professional Data Center Virtualization Design 6.5. However, over the course of the last seven months have had little to no chance of doing any studying or revision. That being said my day job is capturing requirements, and working with customers to create suitable designs. On the plane over to Vienna, I took the chance to review the following material to help me prepare for what to expect. I’m you are studying for this exam then I am sure that you have looked at multiple websites already, for revision guides or study tips. The reading list here will echo those I’m sure. But there is a reason, that because it works! I also managed to schedule my exam until after I’d attended a taster of the Advanced Architecture Course provided by the VMware Center for Advanced learning. If the opportunity ever presents itself to attend this course, take it. The content and delivery is excellent, if you have any architectural ambition then this course is worth finding the time and money to invest. What this means now is that I am but one exam away from achieving a VCIX!